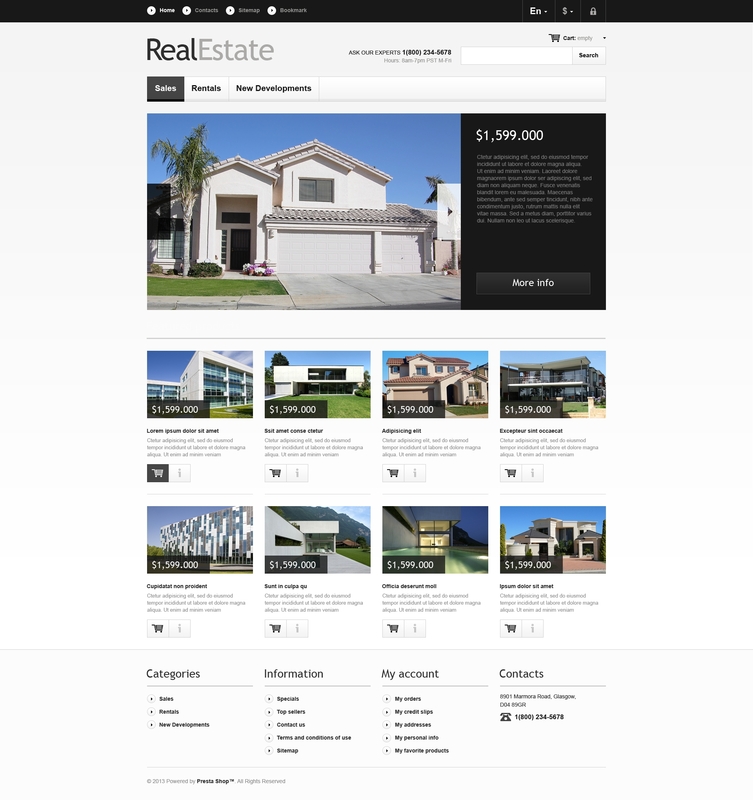 It is evident that property images are more important than the rest of the elements on the page. Slider gallery photos are displayed together with essential house details. Featured products, standing in four columns are also supplied with descriptions and two call-to-action buttons. Main menu has drop down option and is enhanced by multiple footer links.